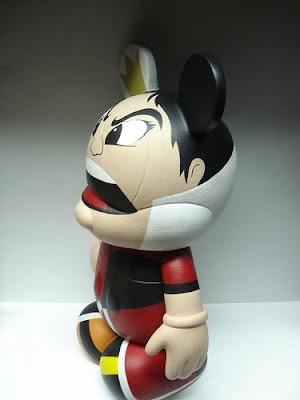 One of our favorite custom artists here at Destination Vinylmation recently let us in on a little, well 9″ tall, secret. After receiving her Villains 1 9″ figures, Celeste thought, “I want to see my other favorite other villains in 9″ form”. So she did it herself! 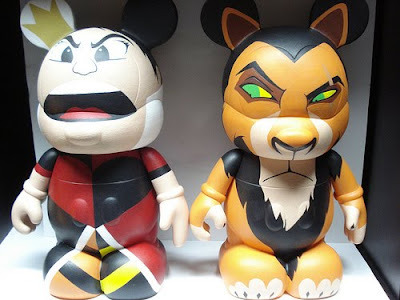 Check out Scar (Lion King) and the Queen of Hearts (Alice in Wonderland). You might remember Celeste from other figures we have showcased on this site. Her work with Adam Lambert for his charity auction was cool, but her Muppets’ Animal has spoiled us for whatever plans Disney has for their upcoming 9″ Animal. When I first saw the picture of this figure I was amazed. Whatever Celeste has done to finish the paint on this vinyl makes it look like it’s straight from the Disney factory. Not only that, but the face is perfect, right down to the sideways glancing look in his eyes. Her use of space on this figure is wonderful, having Scar’s head fill most of the front. On the back is a nicely rendered tail, one that makes me not care that it’s not 3D. Wonderfully colorful, this piece comes alive with the queen’s mouth screaming “Off with their heads”. I love that Celeste uses Mickey’s nose as the queen’s chin. And check out the crown in the ear. Great piece, I’m sure it would look even cooler with a tiny Alice next to it! Nevermind, Celeste already though of that idea! We’d like to thank Celeste for letting us see these figures, and plead with her to continue doing exactly what she’s doing! 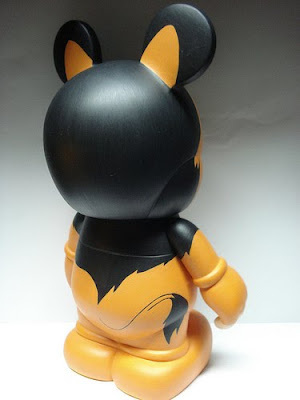 For more of her custom’s check out Celeste’s site at celestecustomvinylmations.blogspot.com. Wow, that Scar is amazing!!! I always loved scar, i was hoping he’d be in Villains 2, and now i hope the make her the artist. Fantastic designs! Both are beautiful works of art. wowwww just wow! why can’t these be real????!!? Scar is my absolute favorite of all time, and she captured him SO perfectly! 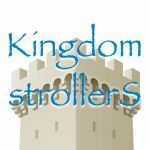 Technically, they are “real” :) Just commission one from Celeste!